Our goal is to create and implement quality events that leave a lasting impression on customers while maximizing your return on investment. 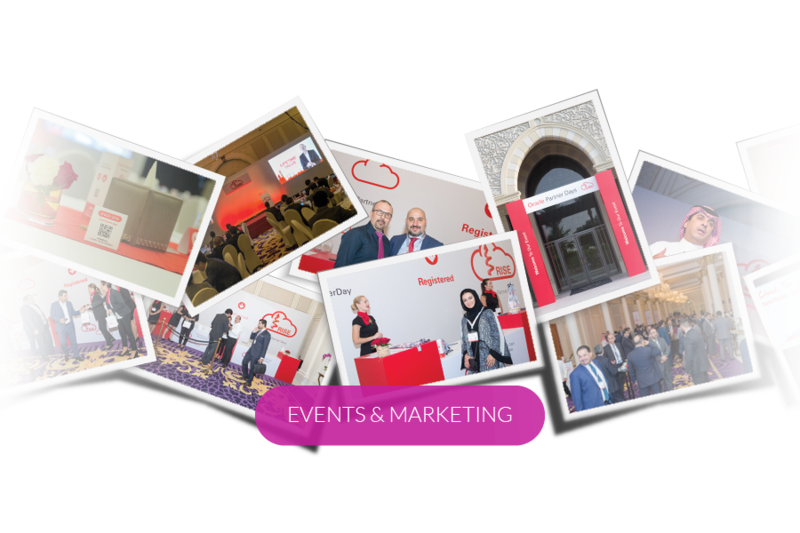 Through advanced technology, digital integration and social amplification, we offer a 360 approach to event management through three key phases; pre-event, during event and post event.  We also ensure we take a ‘green’ approach to every event, making sure we engage in practices that are environmentally sustainable. Want to increase your event visibility and compliance while saving on costs? Now it’s possible with AHEAD’s unique events management platform. 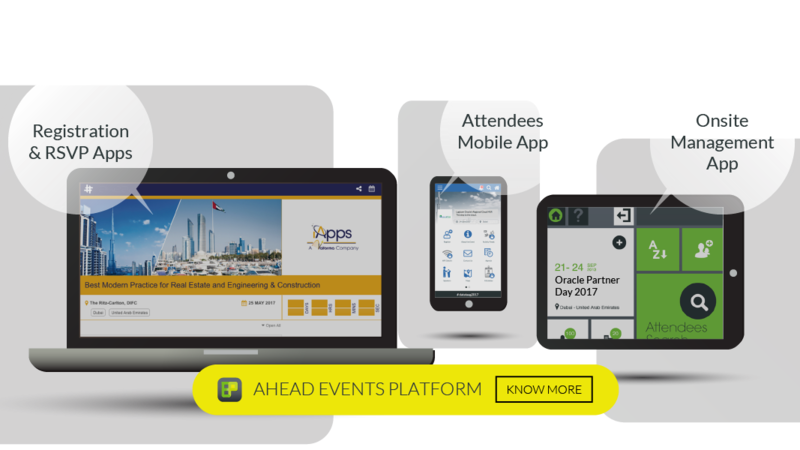 With best-in-class technology, you can now run and handle your entire event or meeting from start to finish seamlessly- from sending e-invites, online registrations, check-in process and most importantly providing you with post- event analytics and reports to measure your event success. A flexible and extremely user-friendly interface, this platform allows you to run your event from your smart phone, computer or tablet, anywhere, anytime. The standards have been developed with input from many different stakeholders, including representatives from the event industry, to make it practical and useful. It addresses all stages of an events’ supply chain, and includes monitoring and measuring guidelines. 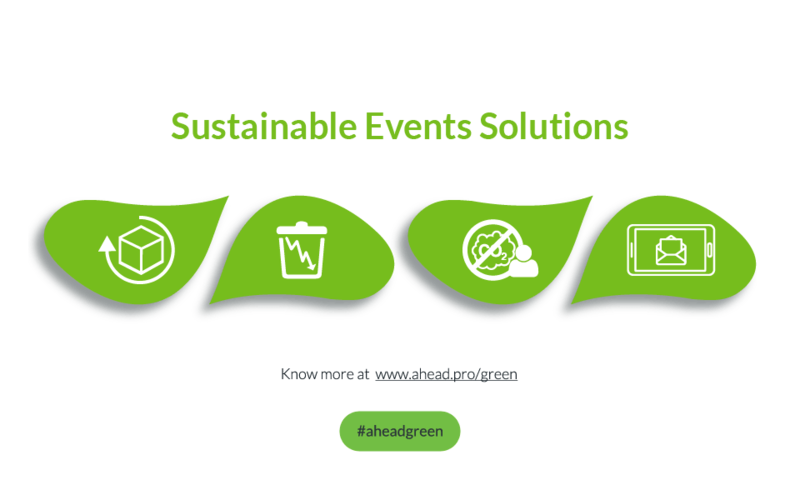 AHEAD also offers Cabon Offset to compensate every event's Carbon Footprint. Carbon offsetting is used to balance out the GHG emissions by buying carbon credits (CER, VER & local programs).